Most U.S. communities have hundreds of retail locations – in all kinds of configurations – some of them huge, some of them just outdoor strip centers. They are all about shopping. 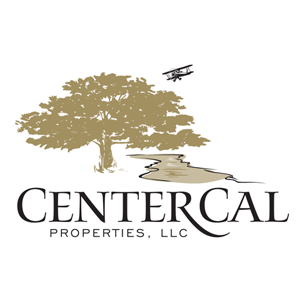 CenterCal Properties, LLC, is a full-service commercial real estate company in the business of investing, developing, leasing and managing its projects – they are in the business of “place-making.” Place-making emphasizes the importance of developing spaces with a sense of community. And, CenterCal is better at it than anyone else. Station Park is one such community in Farmington, Utah that includes retail, gathering places, restaurants, shops, theaters, and office space. Following the popularity and success of Station Park, CenterCal engaged with SnappConner PR to generate big buzz and interest around the March groundbreaking (one word) of its newly announced Mountain View Village in Riverton. SnappConner PR developed and implemented messaging for CenterCal focused on the place-making community roots the company came from. In addition to landing nearly all of the local media to cover the ground breaking, SnappConner was also able to place national coverage in Forbes, Entrepreneur and others establishing the company as a forward thinking, national community builder. When all was said and done, the top-three Salt Lake City network affiliates, the number one ranked talk radio station, and major newspapers and business publications covered the event and set the stage for an on-going and growing presence as one of the leading multi-purpose community developers in the country. Additionally, CenterCal is positioned as one of the leading Utah economic developers for communities throughout the state.